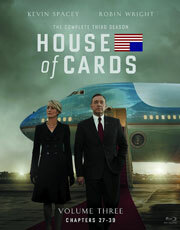 WHAT: After being sworn in as President of the United States following his predecessor’s resignation, Frank Underwood (Kevin Spacey) fights battles domestically (both in his marriage at home and with his fellow Democrats on Capitol Hill) and internationally as he tries to form a peace coalition with bullheaded Russian president Viktor Petrov (Lars Mikkelsen). Meanwhile, Claire (Robin Wright) is no longer content with her role as First Lady and seeks some power of her own as the new U.S. Ambassador to the United Nations. WHY: The first two seasons of “House of Cards” delivered such top-notch storytelling that it was never going to be easy replicating it a third time, but while Season Three isn’t without its problems, it’s still an incredibly well-acted and sharply written drama that ranks as one of the best shows on TV. Though it certainly makes sense why creator Beau Willimon would want to take the series in a slightly different direction – with Frank no longer several steps ahead in his scheming, but rather struggling just to keep his head above water – the story feels a little stretched creatively. For starters, the rock-solid relationship between Frank and Claire is fractured far too easily for a couple that supposedly makes each other stronger (and Claire, in particular, is even pettier than usual), while the whole Doug subplot isn’t engaging enough to warrant spending an entire season on. Some stories work better than others, but the cast continues to fire on all cylinders, including newcomers like Kim Dickens and Paul Sparks, as well as Mahershala Ali and Molly Parker, who are given more to do this season. Still, “House of Cards” is Kevin Spacey and Robin Wright’s show, and they never let you forget it, because even when they’re saddled with mediocre material, the two actors command the screen like no other couple on television. EXTRAS: In addition to a making-of featurette, the Blu-ray edition includes an exclusive behind-the-scenes look at filming a key scene from the season finale. WHAT: Set in 1870, a young Scottish man named Jay (Kodi Smit-McPhee) travels across the American frontier in search of the woman he loves, escorted by a quiet drifter (Michael Fassbender) he’s hired for the journey. But what Jay doesn’t realize is that he’s being used by his traveling companion to lead him straight to Rose (Caren Pistorius) and her father (Rory McCann) in order to collect the sizable bounty placed on their heads. WHY: Though he’s not the first musician to make the transition over to filmmaking, former Beta Band keyboardist John Maclean’s “Slow West” is an incredibly confident directorial debut that breathes new life into the Western without abandoning its roots. Gorgeously shot and remarkably vibrant for the genre, the movie is a well-paced, character-driven piece that boasts a pair of great performances from Michael Fassbender and Kodi Smit-McPhee, as well as a wry sense of humor that will have you laughing at some pretty morbid stuff. (The literal “salt on the wound” gag is probably the best of the bunch, but that’s just the tip of the iceberg as far as Maclean’s darkly comical script is concerned.) While it’s disappointing to see a fantastic character actor like Ben Mendelsohn wasted in such a small role, he makes the most of his limited screen time, especially considering his rascally outlaw doesn’t even enter the story until the final act. 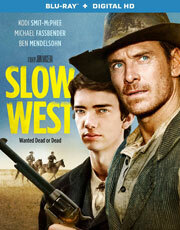 “Slow West” is an odd but amusing little movie, and though it’s not above having fun with certain genre tropes, it’s still very much a Western in style and spirit, which is to say that the American frontier is a pretty nasty place to go chasing your dreams. That’s about as much plot as there is in director Henry Hobson’s film. 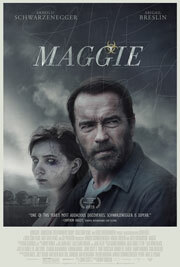 Don’t expect Arnold to fight off zombies or search for the cure to his daughter’s illness. “Maggie” is driven far more by character than story. It’s a quiet, slow burn – albeit a little too slow at times. Even with a 95-minute running time, writer John Scott 3’s screenplay is pretty thin, and although that’s acceptable because it’s not the film’s priority, even for what it is, “Maggie” could have used a few trims and some tightening up. Summer is finally here, and what better way to start off the blockbuster season than with the sequel to the biggest film from three years ago: Marvel’s “The Avengers.” Though it may seem like it could only go downhill from there, May has plenty of exciting films on its slate, from the “Mad Max” reboot, to the “Pitch Perfect” sequel, to the shrouded-in-secrecy “Tomorrowland.” And while not every title is guaranteed to hit its mark, there’s enough potential here that 2015 is shaping up to be one of the best summers at the movies in years. What: When Tony Stark’s robotic peacekeeping program goes awry, it is up to the Avengers to stop the villainous Ultron from enacting his terrible plans. Why: Joss Whedon was given the unenviable task of one-upping “The Avengers” (a job made even more difficult on the heels of “Winter Soldier” and “Guardians of the Galaxy”), but it certainly looks like he’s done it with “Age of Ultron.” Though there was always the risk that adding more characters to the Avengers roster would cause the movie to feel overstuffed (just look at that cast list! ), there aren’t many directors who can handle large ensembles better than Whedon, because he always finds a way to make everyone feel like an integral part of the story. 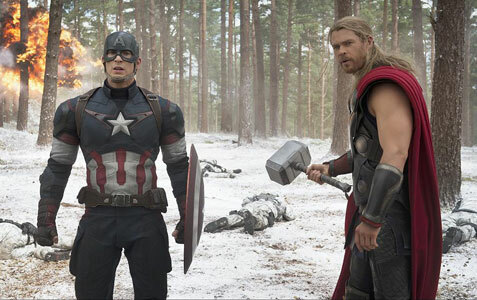 “Age of Ultron” may be Whedon’s Marvel swan song, but if early word is any indication, he’s gone out on a high note. What: An inept police officer must protect the widow of a drug dealer from criminals and dirty policemen. What: A teenage girl becomes infected by an outbreak of a disease that turns the infected into cannibalistic zombies. During her transformation, her loving father stays by her side. Why: Though the whole zombie subgenre has been played to death (no pun intended) over the past five years or so, Henry Hobson’s “Maggie” offers an interesting take on the subject by spinning those genre roots into a father-daughter relationship drama that feels more like “The Road” than “The Walking Dead.” Arnold Schwarzenegger’s return from retirement hasn’t exactly gone the way he hoped, so it’s nice to see the actor stretching himself here with a more subtle turn as opposed to his usual action fare. Whether he has the dramatic chops required for such a role remains unseen, but in a month jam-packed with blockbuster films, this small indie has definitely piqued my interest. Maggie is an elegant model with a beautiful face who can also fill out a bikini with her all-natural figure. Very nice!